There seems to be some very interesting news reports from the Middle East region in the last few days. News seems to be coming out in LEAKS or from the backside, so to speak. And you might call some reports as rumors or intel…! However, much of the fast-moving reports are sensitive…..with the only thing not sensitive being the OIL PRICE rise at the gas pump: UP! UP! UP! By the way, today’s photo image on the blog is of Augusto Perez in Cuba on his ministry trip recently. 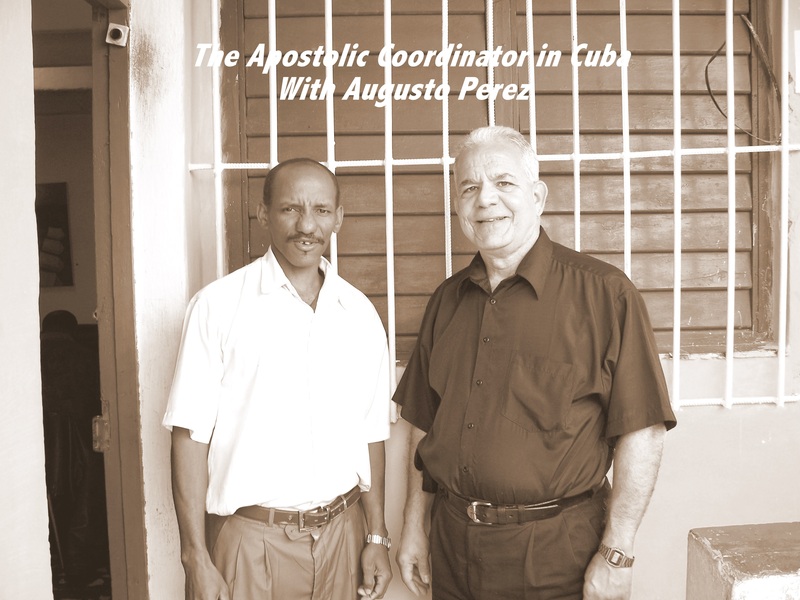 Please remember Augusto Perez in prayer intercession! And Augusto’s website is http://www.theappearance.com See some of Augusto’s dreams, visions and experiences listed on his website..! The latest Best-Taylor Web Audio Update is #159 available for FREE listen or download on Stewart Best website http://www.thelightgate.com and Stewart is busy working on a new extensive article with DATA to be released shortly…Also I believe Stewart Best will guest the Randy Yarbrough Show next week, which can be heard at KHNC 1360AM in Johnstown, Colorado or on the internet at http://www.americanewsnet.com on each Wednesday and Thursday! L.A. Marzulli is releasing his new WATCHERS 2 DVD soon and you can find information on this release & how to order, watch trailer at http://www.lamarzulli.net and also keep up with Marzulli blog posts and news at http://lamarzulli.wordpress.com along with updates from the “Marzulli”…..! Thanks to all those who have been praying for me recently as a number of missions are now being completed and I seem to be ‘bouncing’ back from the recent attacks that came like a flood….. Thank you so very much for all the hard work you do on our behalf. This blog news site is a great idea. If we wish to make a donation to your efforts should we send it to your old USPS address or perhaps use PayPal? Please please keep up the good work. The world is moving so fast I find it impossible to keep up without help. LOOKING GOOD DARNETTE and LARRY……. Nice blog Larry. Hope to come round these parts often for your comments and links. Thank you for this blog site and the efforts you expend to be a watchman on the wall for God’s people. This is much better than the group. Also I appreciate the daily email of postings to the group. Keep up the good work for the Kingdom of God and may his richest blessings in all ways be upon you and your family. Larry, I love the blog! Thank you for all of your tireless work! I know that God has purposes for your labor, even when it may seem no one listens! You are a blessing! This new blog is great. I pray that the Lord Jesus bless you with all that the enemy stole many times over. The blog looks good, Larry. I pray the protection of the blood of Yeshua over you, Darnette, and all the true watchmen daily. You will never know how many people you have reach and the impact you have made! Keep up the good fight and pay no attention to the nay-sayers. They are far out-numbered by those that have now taken the “red pill” because of your faithfullness. Thank you always, brother! Love your new blog & when you get a new snailmail address to send donations to please post it please. Will keep you both in my prayers. Love your new blog!! I emailed you at FromTheEdge2011@yahoo.com and the mail came back undeliverable. I was asking if we still send a donation to your old address. Would Paypal work, and what email address for that? Blog looks good and what a great way to communicate with you! The blog looks great – thank you for being a “Watchman on the Wall” & also a big thank you for the audios with Stewart – you always have interesting facts & warnings to share. Larry, I like your blog. This is a great idea! Thanks for everything you do for us remant folks. You and Darnette are so appreciated and loved. May the Lord bless you and protect you, in Yeshua’s name. Thanks for the notifications of new blog posts! Your blog is such a blessing to me! Just LOVE this blog. What a fabulous idea! Now, the whole group can communicate with you AND the group itself. I want to thank you for all your tireless work as a watchman! I do so look forward to your daily posts about what’s happening in the world on a daily basis. Do you have access to PayPal yet?..Well, have to go now & feed my pets. I sent you a photo of my cats. We love your blog also ! We would like to know about donations also. Please don’t get discouraged… you are making a great difference and helping many here with what information you supply. The geologists with the USGS Hawaiian Volcano Observatory have released a first look at the new fissure eruption that just started today between Pu`u `O`o and Napau Crater. According to geologists, the first portion of the video was shot from the air looking southwest at the fissure eruption between Pu`u `O`o and Napau Crater. The fissure segment in the tephra in the foreground opened seconds earlier, and only about 10 minutes after the eruption as a whole started. The cracks through the tephra are in the process of opening, though this can’t be picked out at this distance. Meanwhile, the current Volcano Alert Level for Kilauea on Hawaii Island has been upgraded from Watch to Warning, and the current aviation color code has been upgraded from “orange” to “red. Thank you for all you do. Sorry to hear about your generator getting “borrowed”. It is humorous on one note that all the devil can do to Larry is resort to petty larceny. I assume you forwarded your mail so I will send my donation to the Mena PO Box. Keep up the good work for the LORD. Thanks for all your insightful updates. I just found your blog, it’s really great. You’ll probably never know how many people actually listen to/read your audios/articles, keeping us informed the way you do. I, also, really enjoy your updates with Stewart Best, so interesting and informative. Keep up the good work, you and Darnette, and I’m really looking forward to meeting you and shaking your hand when we all get to that better place. Hang in there, apparently it won’t be much longer. I just found this website. The reason I ran across it is this: Sunday two weeks ago as I was getting ready for church, the Holy Spirit spoke the same name to me three times in a row: Demos Shakarian, Demos Shakarian, Demos Shakarian. Now I wasn’t sure of what I heard. I decided to google the name to see if anything came up. When it did, everything that introduced me to the Shakarian family in 1983 came rushing back to me. As I was remembering it came to me that God had sent me an angel in 1983, and I had not known it until Sunday morning, November 25, 2012. Supernaturally, I was given a copy of “The Happiest People on Earth” that day in 1983. So, that led me to wonder why had God wanted me to read the book in 1983, and then speak Demos Shakarian’s name to me in my kitchen. I have been telling everbody who would listen about it. I felt the need to tell it, but I really didn’t know why… After reading your article with the contents of the sealed letter in it, I have come to the conclusion that I was told as a warning now. God’s word says, “HE does not do a thing except first telling his prophets”. Now I’m not a prophet, but I fully feel that God is warning everyone he can about the thing that is coming upon America very shortly. We must be ready. What that entails I’m not sure. How can we prepare ourselves for terrorist attacks, or our banking and economy collasping? But none the less, God has warned me and I must tell everyone what I believe is coming upon us! God help us to endure!